Divas • May • Jazz • Paradise – Mmm…. It’s the Memorial Day, Paradise City Arts Festival 2018 and the livin’ is easy when the Valley Jazz Divas and friends take the stage for some fine jazz! 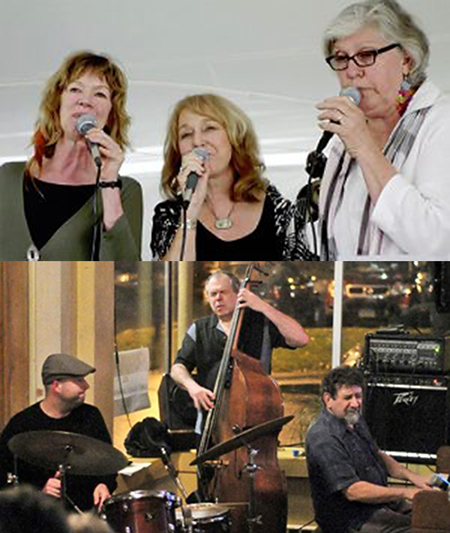 Visit the festival and stop into the music tent to hear the Valley Jazz Divas with Barbara Ween, Jill Connolly, Carol Abbe Smith – vocals, Paul Arslanian – keys, George Kaye – bass and John Fisher – drums. They will be performing your favorites between 11 am to 3 pm on Monday, May 28, 2018 at the Fairgrounds in Northampton. So much to see – so much to taste – so much to hear! This entry was posted in Gigs on May 25, 2018 by barbarajween.